Danielle Kassin Strauss is a licensed acupuncturist and a board certified herbalist. 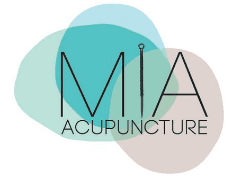 She holds a Masters of Science in Traditional Chinese Medicine (TCM) from Touro College in NYC and The Acupuncture and Massage College in Miami, Florida. As a practitioner of Chinese medicine, she is qualified to practice acupuncture, Chinese herbal medicine, cupping, moxabustion (heat therapy), and Chinese medical massage (gua sha, tui na) among other modalities. She graduated at the top of her class, earning many awards including valedictorian. She also interned at the Shuguang Hospital in Shanghai, China, where she shadowed renowned doctors and treated patients throughout many different departments – Gynecology, Internal Medicine, Endocrinology, Tui Na (medical massage), Pediatrics, Gastroenterology among others. About 20 years ago, when my father was diagnosed with gastric cancer, he started to use Traditional Chinese medicine to help him through the hard-hitting, post-chemotherapy episodes. Slowly, as my father noticed the effects it had on his comfort and wellbeing, Chinese medicine became an integral part of my family’s life and my proposed future. The whole family noticed how it significantly improved my father’s quality of life; for instead of just targeting the cancer, TCM treated the whole person. At that time, I did not know a thing about this medical system and it’s 2,000 years of history but I was certain that one day this would be my vocation. After a bit of a detour, attending university at Vassar College and then moving to Italy to finish my thesis in cultural anthropology, I moved to New York to begin my journey into the curative world of TCM in Touro College. Little did I know, this was the beginning of a voyage that would not only take me to China, but would forever change my life.